One of the Oldest in Providence! This home of Declaration-signer Stephen Hopkins (1707 – 1785) is among the oldest still standing in Rhode Island and the oldest in Providence. Hopkins lived here with his family and their slaves, in eight rooms that are now chock-full of antiques, Hopkins’ personal heirlooms, and general 18th-century objects. The house played host to such luminaries as George Washington in 1776, on one of his four trips to Providence. Then-governor Nicholas Cooke wrote to Washington that “General [Nathanael] Greene [a Rhode Islander] having informed me that your Excellency proposed to set out for Providence this Day I do myself the Honor to acquaint that a House is prepared for you and your Lady.” Martha Washington did not accompany her husband to Providence, and in fact, Hopkins himself was not even present for Washington’s visit: he was at the time attending the Continental Congress in Philadelphia. Stephen Hopkins became embroiled in the first violent act of resistance to the British Crown in the colonies during the infamous Gaspee Affair, which predates the Boston Tea Party by a year. Serving as governor of Rhode Island in 1772, Hopkins was strongly encouraged to make known the names of the men who had set fire to the British customs ship The Gaspee and kidnapped its captain, Lieut. Dudingston. The Crown wanted Hopkins to provide “a full and particular account of all the proceedings had and done by him for discovering and bringing to justice the persons who committed the aforesaid offence.” Hopkins promised to do so “without loss time.” Though he may have agreed to investigate the “offence,” Hopkins, a staunch patriot, apparently had no intention of doing so, as there is no record of any such written account. 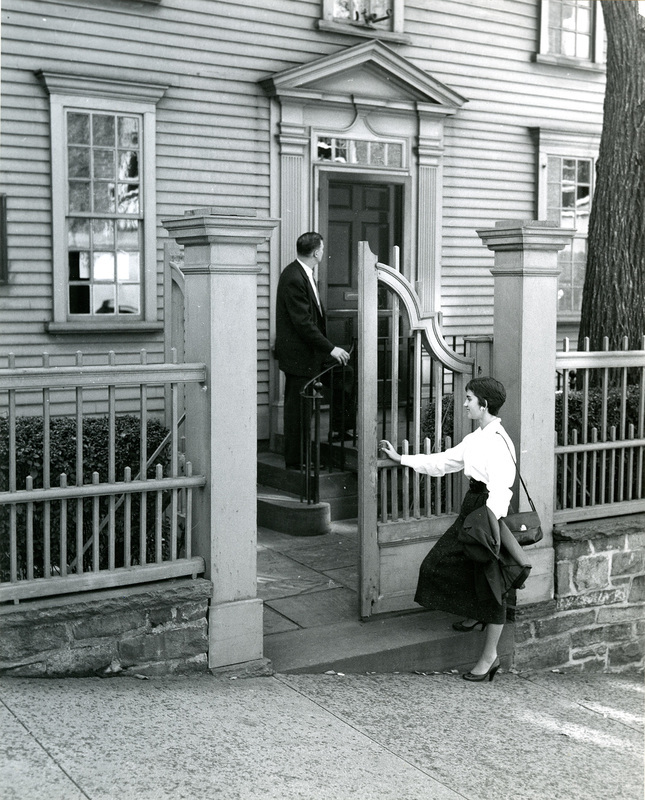 Stephen Hopkins House Cady Photograph: Stephen Hopkins lived in this house with his first wife, Sarah, and four of their seven children, and later, his second wife, Anne, and her three children. The original house (south side) was built by William Field in 1707, the year Hopkins was born. Hopkins bought the house in 1742 and added a two-story addition (north side) in 1743. Six enslaved Africans also lived in the house: Fibbo (Phoebe), St. Jago, Prince, Toney, Adam, and Primus. 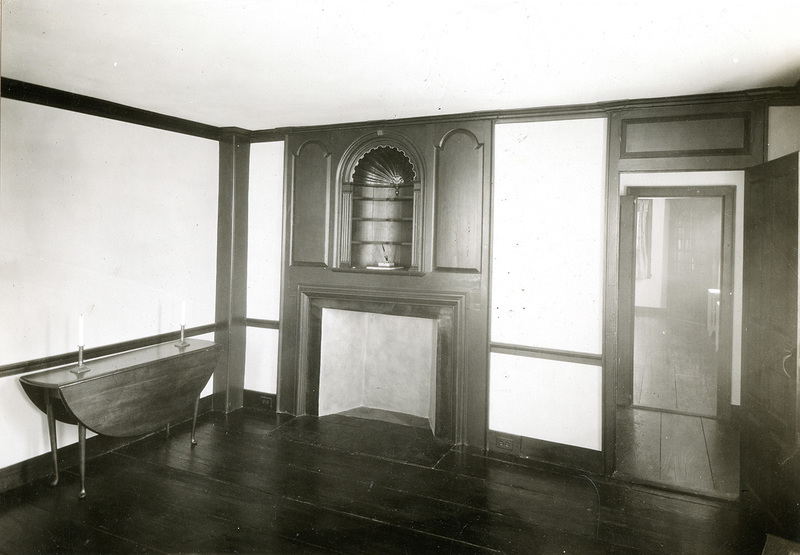 Stephen Hopkins House Interior: While this interior photograph shows a nearly empty room, this parlor would been witness to a much busier scene during the 18th century. With so many adults and children living together, the house likely would have been full of noise and activity. There were at least three or four Hopkins children living in the house at any given time, and the enslaved woman Fibbo, or Phoebe, had two children, Primus, and Bonner Jr., who were living with her. Fibbo's husband, Bonner, did not live with his wife and child; it is possible that he was enslaved by Moses Brown, who later emancipated his slaves and became an abolitionist. Quakers were among the first to speak out against slavery in the colonies. Despite mounting pressures from the Society of Friends, Stephen Hopkins emancipated some of his slaves, but not all. He lost his membership in the Society as a result. The Hopkins House was moved -- twice! -- from its original location along South Main Street. Check out page 210 of Gertrude Selwyn Kimball’s Providence in Colonial Times (1912) for an image of the house in 1911 before its second move in 1927. 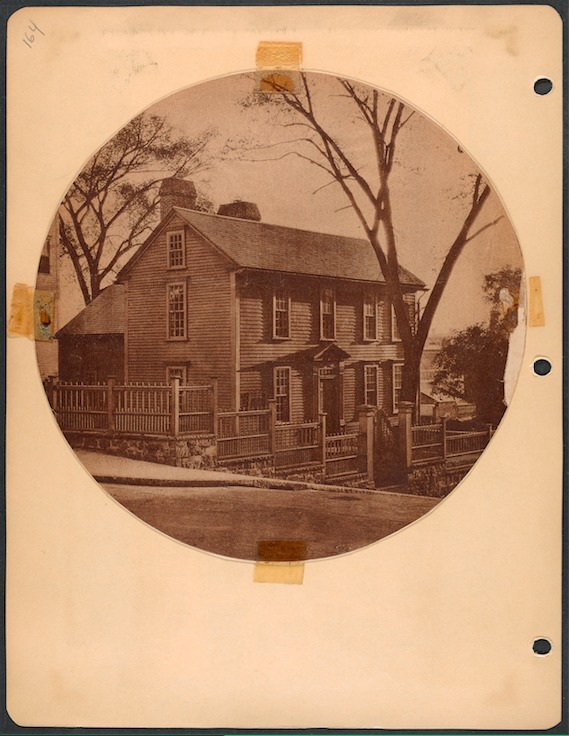 Elyssa Tardif, “The Stephen Hopkins House,” Rhode Tour, accessed April 21, 2019, http://rhodetour.org/items/show/190.